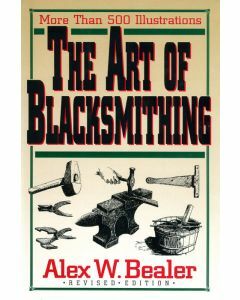 Art of Blacksmithing, The Bealer, Alex W.
This unique book covers every aspect of this fascinating art, the fundamental craft on which the civilization of the Iron Age was built. It is perfect for craftsmen who want to set up a blacksmith shop, and for lovers of history and craft alike. It describes and illustrates the equipment and the techniques developed in more that six thousand years of working iron by hand. It reflects respect for the specialized skills of the smith and the excitement of the village smithy, which so recently disappeared from the Western world. 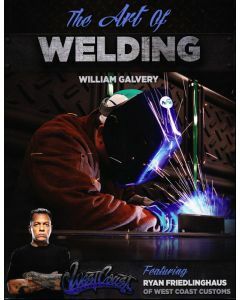 Over William Galvery's long professional career as an educator and hands-on-welder he offers us his acclaimed welding insight and everyday tips and tricks.This unique and original book provides complete, in-depth coverage of the equiptment and techniques used in the most popular welding processes: Oxyacetylele, stick welding, MIG welding and TIG welding. 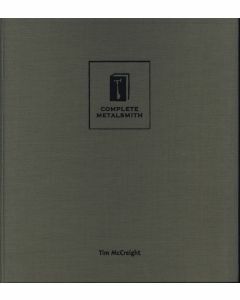 Each chapter contains the pros and cons of each process and information on equiptment, setup, materials, safety, and welding techniques. It provides sound footing for the novice welder. 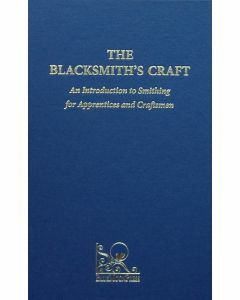 The Blacksmith's Craft: An Introduction to Smithing for Apprentices and Craftsmen was published because there was no text book, at that time, on blacksmithing which could meet the needs of craftsmen and apprentices. The lack of such a book was a handicap to the teaching of this subject. It is also of great value to many other craftsmen and apprentices whose work depends on a sound knowledge of the behavior of iron and steel. The skill of the smith is faithfully recorded in sequences of still photographs and brief descriptions. Some of the methods shown and described are not the only ones possible. As experience is gained, the smith can develop his own variations of a technique. 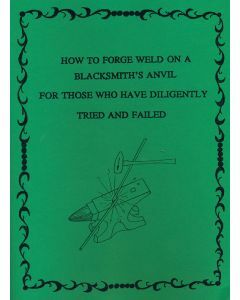 With its clear photographs and accurate descriptions, The Blacksmith's Craft is a valuable resource for all blacksmiths. Joining metal to metal...for function or for decoration. Amit Har-lev takes you step by step in Joinery Techniques , through a wide range of creative as well as functional joinery techniques that can be applied to your next project. Working with wedges....and much more! Total Run Time: 1 hr. 20 min. with quick and easy menu access to all lessons. How to Forge Weld on a Blacksmith’s Anvil Heath, Robert M.
Forge welding is an old technique of joining two pieces of metal with heat. This booklet is written to honestly try to convey certain principles of a craft technique that are difficult to convey in writing. 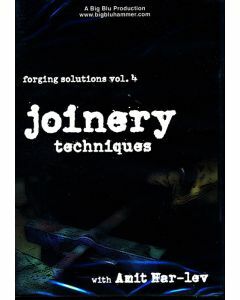 The reader can find enough information to enable, even a beginner, to make a forge weld. Go for it! Metalworking, Doing it better is an extraordinary guide which will help you develop new metalworking skills and improve those you already have - while saving you valuable time! 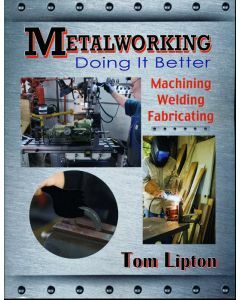 Tom Lipton, who wrote "Metalworking Sink or Swim" shares with you hundreds of unique and creative techniques, well illustrated with full color pictures. They are carefuly coordinated with the tips to enhance your learning - and your enjoyment too.